This past week has been a good one for the state of Alabama. Not only did the Crimson Tide football team defeat their neighbors from Georgia in the national college football championship game; Alabama political leaders defeated their peers from North Carolina in the competition for the latest big auto plant. Happily, unlike the case with the Georgia gridiron defeat, there’s still some good news for North Carolina amidst the disappointment. As has been widely reported in recent days, Toyota-Mazda officials announced Wednesday that they plan to locate their joint auto manufacturing plant in Huntsville, Alabama, rather than in one of several potential sites in North Carolina. The decision to put 4,000 jobs and $1.6 billion in investment somewhere other than the Tar Heel State is certainly bad news for the state’s economy—especially given how few communities have fully recovered from the Great Recession. But the reasons car company officials gave for preferring Alabama over North Carolina actually provide some good news to our state’s policymakers and economic developers—along with some important lessons for winning the next auto plant that comes along. 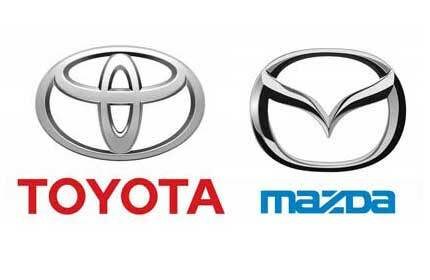 Media reports have pointed to two major factors that proved decisive in Toyota-Mazda’s location choice—North Carolina’s inadequate supply chain logistics in the automotive manufacturing sector and Huntsville’s superior technically trained workforce. The good news is that these competitive disadvantages are within our state’s power to fix—as long as North Carolina’s leaders take a clear-eyed look at what actually works and what doesn’t. And it’s clear, yet again, that the General Assembly’s basic approach to economic development—cutting taxes, cutting community investments, developing only a few certified megasites with the right infrastructure, and offering bigger-than-standard incentive packages—doesn’t really work when it comes to attracting transformational projects like auto manufacturers. In every area, North Carolina’s policies fell short. On taxes, the General Assembly’s much-ballyhooed corporate income tax cuts gave North Carolina a lower tax rate (4.9 percent) than Alabama’s 6.5 percent rate. Yet tax cuts didn’t improve North Carolina’s competitiveness for attracting Toyota-Mazda. It’s the same story on incentives. Twice since 2014, the legislature has created new incentive programs within the existing Job Development Investment Grant system that were specifically designed to attract an auto plant. North Carolina offered a total package worth more than $1.5 billion, more than five times Alabama’s $379 million package. Yet Toyota-Mazda executives didn’t even mention incentives as a deciding factor, and a site selection consultant with knowledge of the decision referred to Alabama’s package as “icing.” So incentives didn’t really make the difference either. And on infrastructure, North Carolina’s new megasites provided comparable or stronger capacity than similar megasites in Alabama. (Megasites are industrial sites with a large number of acres that are “shovel-ready” for immediate development—they are graded and connected to roads, electricity, and water/sewer.) In fact, a late move by Huntsville in December to develop a new financing mechanism to expand its existing megasite suggests that Alabama’s leaders felt their sites were less competitive than North Carolina’s. But even our recent and very positive investments in infrastructure were not decisive. Instead, Toyota-Mazda chose Alabama anyway, because, it turns out, car manufacturers care more about workforce and supply chains than about tax cuts and incentives and even infrastructure. This doesn’t mean that the state should abandon its incentive programs or stop investing in roads, bridges, and industrial infrastructure. But it does mean that the state’s conservative legislative majority needs to learn the hard lesson that transformative economic development—including finally recruiting that elusive auto plant—requires strategic public investments rather than supply-side tax cuts. But our shortcomings in workforce skills and automotive supply chains, painfully revealed by Toyota-Mazda’s rejection, point the way forward for what those investments can look like. Specifically, the state can provide the same focused attention on building out automotive supply chains—the network of smaller, lesser known companies that provide critical auto components—that the state has so successfully pursued in biotechnology, aerospace, and advanced textiles. In each of these sectors, state and regional leaders identified key suppliers along all parts of the relevant supply chains and sought to attract them to the state, supported their expansion if they were already located in North Carolina, and encouraged entrepreneurs to start their own companies. These sector strategies also involved strong partnerships with the state’s universities that leveraged significant research and development to generate new products and improved industrial production methods. At the same time, business leaders in these sectors also partnered with local community colleges to train the workforce in the precise skill sets these companies required. Taken together, these sector efforts combined and deployed a range of investments in community colleges, universities, economic developers, and businesses in ways that benefited entire industry sectors and made North Carolina a global center known for these products. Instead of wasting more public dollars on tax cuts, legislators should strategically invest in building automotive supply chains with smart sector policies and community college job training programs. They worked in biotech, aerospace and textiles and they will work in auto. This is the approach that North Carolina should take to win the next big auto facility deal, not another round of tax cuts. Dr. Allan Freyer is the Director of the Workers’ Rights Project at the North Carolina Justice Center. Previous article Can North Carolina change the way district court judges are elected without a constitutional amendment?